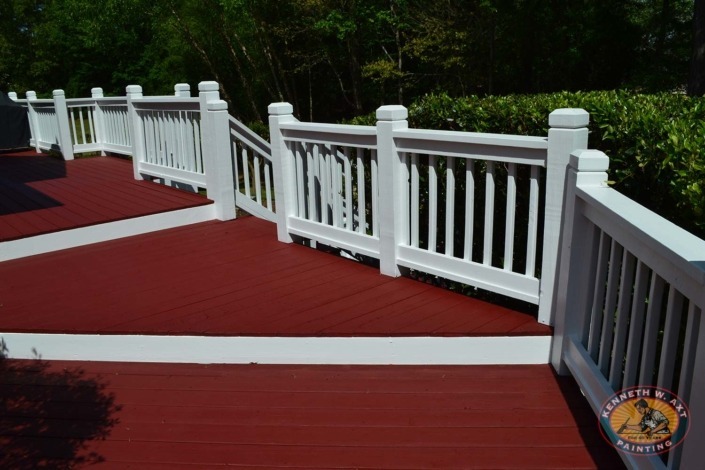 Smyrna Vinings Residential Painting Company: Kenneth Axt Painting Contractors is proud to have served the painting needs of Smyrna/Vinings/Mableton home owners for more than 40 years. Area zip codes include: 30080, 30082, 30126, and 30339. The growth of the Smyrna/Vinings area has been astounding and the introduction of the new Atlanta Braves Stadium has brought increasing interest from homeowners and businesses alike. Our company provides interior & exterior services that offer the solutions and product range to meet varied the painting needs of Smyrna & Vinings residents. Older established neighborhoods and new construction contribute a mix of architectural styles and exterior materials and finishes: historic mansions and bungalows dot the landscape, brick ranchers from the 60s & 70s, cedar sided contemporary homes from the 80s, newer construction featuring concrete siding or stucco, executive style homes of brick, stone and siding. Our crews are professional painters with the skills necessary to prepare, repair and paint a variety of exterior surfaces: brick, stucco, Hardie board (concrete siding), wood, vinyl and PVC. Does your home have an “interesting” interior from the 60s, 70s, 80s or 90s? Don’t worry, we can help with that too! Kenneth Axt Painting is a full service residential painting company. Our interior services include wallpaper removal, updating or installing trim work, painting out stained trim and built ins, kitchen and bath cabinetry and more! Smyrna Vinings Mableton Just for fun!